Sushi, built to your specs. Sushi Fuku = Lucky Sushi. “LUCK” has everything to do with it. We believe everyone should have a choice when it comes to sushi. At Sushi Fuku, we revolutionize the way people order sushi. We believe making sushi should be fun and PERSONAL — you should be able to create SUSHI the way you want it!!! We are a fast-casual sushi restaurant offering a unique and fun experience. 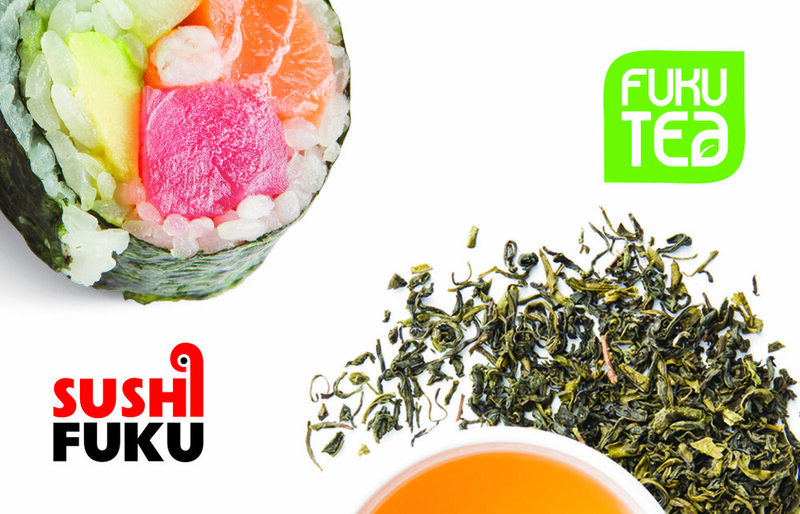 Stop by and create your own SUSHI FUKU. Shrimp tempura, spicy crab, cucumber, mango, topped off with spicy mayo. Yellowtail, spicy tuna, seaweed salad, avocado, cucumber, mango, green onions, tempura flakes, wasabi mayo & poke sauce. Seaweed wrap, baked tofu, shiitake mushroom, cucumber, edamame, mango with sweet chili sauce inside. Two servings of tuna, avocado, mixed greens, cucumbers, green onions, topped off with tempura flakes & poke sauce. Choose from our wide variety of fresh-prepared veggies & proteins and top it off with toppings & sauces. Eat it in a roll or in a bowl. Available in poke bowl, salad, or sushi burrito | 10 piece cut, rice inside or outside. The nutritional information provided is based on data from our supplier(s) for standard product formulations and recipes. Nutritional content may vary because of variations in portion size or recipes, changes in growing seasons, or differences in the sources of our ingredients. The option of adding sauce, toppings, and vegetarian options will change the nutritional content. © Sushi Fuku. All rights reserved.